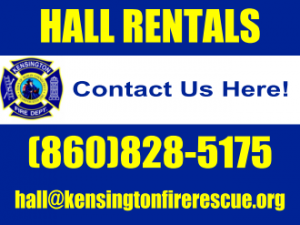 If you are interested in renting the hall at the firehouse, please call the number below or email us to find out more information. We offer all day rentals with use of our full kitchen and fridge, tables and chairs, and also use of our rear outside grove area (seasonal). The space is also well air conditioned and heated for specific times of the year.